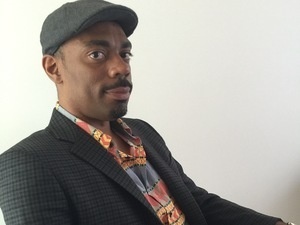 Hear award-winning journalist Channing Joseph ’03, who now teaches journalism at the University of Southern California, read from his recent work and offer his tips for Obies who aspire to be long-form feature reporters or literary nonfiction writers in our Twitter-addicted world. Joseph is an award-winning journalist and an adjunct professor. He has been an staff editor and writer at the New York Times and the Associated Press, a correspondent for MTV News, and the editor in chief of SF Weekly, San Francisco’s flagship alternative newspaper. In addition to his journalism, Joseph also does original research in the area of LGBTQ history, and he is now working on a book titled The House of Swann: Where Slaves Became Drag Queens—and Changed the World. The renowned historian Jonathan Ned Katz has hailed his findings as “fascinating” and “a wonderful discovery." Joseph is a graduate of Oberlin College and Columbia University. No presenter showed up for this event, making me, and the other 5 people who went to Wilder 101 wonder if the event advertising was a mistake. I heard Channing at his last presentation at Oberlin and really enjoyed it, but I wonder if the Wilder Voice, which was supposedly advertising this event made some kind of mistake in its advertising.